If you are looking for a robust portable oxygen concentrator for long term use, then the Zen-O™ might just be the solution you require. 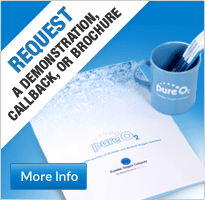 The experienced, friendly team at Pure O2 are at the end of the phone to help and advise you about which portable oxygen concentrator will suit your or your patient’s needs. You can also find out more about the Zen-O™ on our product web pages. Here you can also watch a short video demonstrating how to use the Zen-O™ Portable Oxygen Concentrator and also download and information brochure and manual. In the meantime below is a brief overview of the features of the Zen-O™. The Zen-O™ portable oxygen concentrator is a robust yet lightweight machine which is ideal for long term use. It can deliver up to 2 litres of oxygen per minute in either pulse or continuous flow mode. The Zen-O™ comes with a carry bag, trolley and battery as well as AC and DC power supplies. However, if you purchase an additional battery you can experience battery times of up to 8 hours when using this portable oxygen concentrator in Pulse 1 mode. The Zen-O™ is easy to use featuring a clear LED display as well as audio controls to facilitate use for those with reduced eyesight. The function buttons are bold and clearly marked making it very easy to operate. This portable oxygen concentrator also features a warning alarm and indicator which alerts the user if oxygen levels fall below 82%. 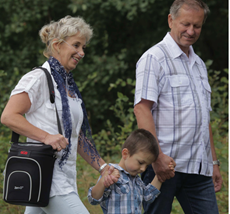 Using a portable oxygen concentrator enables COPD sufferers to regain mobility and freedom. The Zen-O™ can be used at home or out and about whether you are active or sedentary, allowing you to enjoy activities you may have felt you had to stop. So, whether you enjoy shopping, walking with the grand children, fishing, playing the guitar or even more active hobbies, the Zen-O™ will ensure you have a regular oxygen supply to give you the confidence to go out and enjoy yourself once more. To find out more about the Zen-O™ portable oxygen concentrator and how it might facilitate your life, call us and speak to one of our trusted team. There are a range of numbers you can use depending on where you are calling from and the time you are making the call. 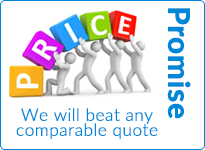 Telephone 0870 712 0202, or you use our UK freephone number (9am – 5pm) on 0800 145 5902. 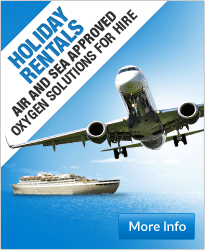 Alternatively if you are calling from overseas you can use our international number +44 (0)161 747 2617.